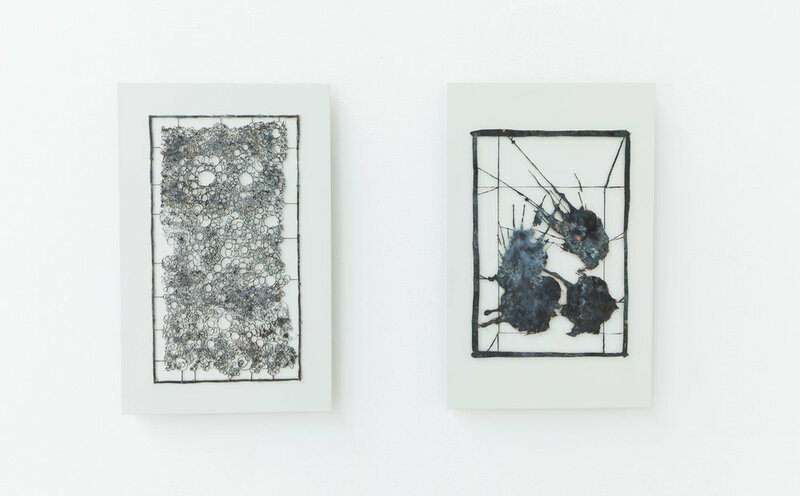 The exhibition Degenerate Work is comprised of a variety of media including tapestry, drawing, and sculpture, extending Berg’s investigations into materiality, cultural hybridity, and irony. Berg’s work is created in the space between chance and order. Berg sets up the formal parameters by using a number system to determine colors and their placement he introduces an element of randomness. 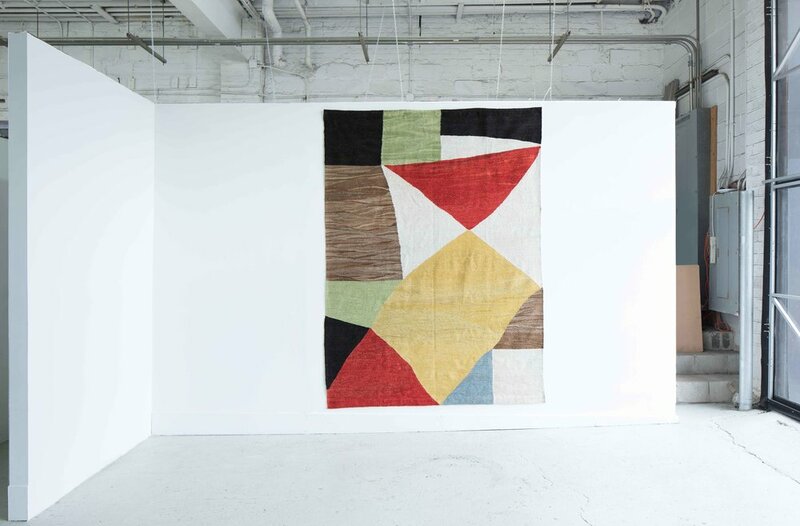 Texturally, these woven tapestries leave a flat surface by using tightly knit warp and weft. His work negotiates the physicality of the killim with the conceptual inheritance of artists such as Sol Lewitt, William de Kooning, and Piet Mondrian—using the weaving process, to create abstract works that play with material, structure, and color. In conversation with these are a series of color and black and white studies in gouache, which consider the inevitability of disintegration. Usually this process is understood as being synonymous with destruction; however, the conscious quality of Berg’s works is that they deal with this process in their very origins by engaging with and questioning our senses of chaos and order.